Outer space seems so unknowable and unreachable to most people. Thankfully, modern technology has given us a glimpse of our planetary neighbors and far away star systems. While reading some updates in the world of photo mosaics, I found a recent project from NASA called the Wave At Cassini Event. In mid-2013, the Cassini spacecraft took a short break from it's job of hovering around Saturn to snap a photo of its home, planet Earth. In response and celebration, people from all over the globe submitted more than 1,400 photos of themselves waving at the Cassini spacecraft located over 800 million miles away. 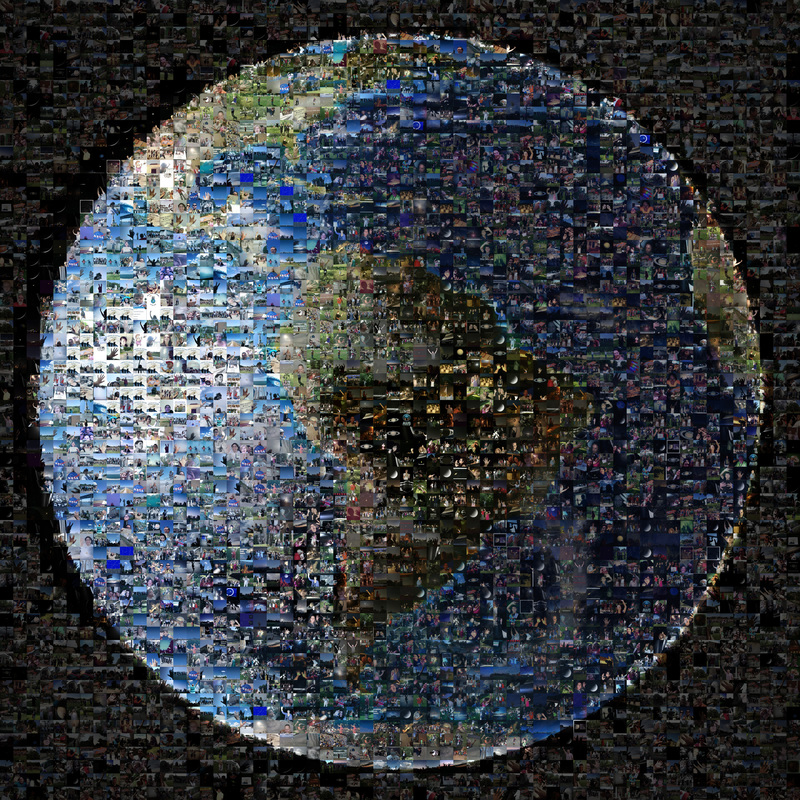 These photos were used by the Cassini mission team to create a massive photo mosaic of Earth as a thank you to all the contributors. Very cool! NASA even made the full resolution image available, which is really fun to explore. Click the image below for the full resolution version. While I thoroughly enjoyed the Wave At Cassini Event photo mosaic, I must say that I have one specific critique (don't I always?). As I explored the full resolution mosaic up close, I noticed some superimposing of the source image. It's most noticeable in regions with stark contrasts of color, e.g. where the ocean meets land. Loyal fans will be quite familiar with my Mosaic 101 page where superimposing is explained in further detail. But I digress, overall I really enjoyed learning more about this project and exploring the full photo mosaic. I'll be sure to keep an eye out for any photo mosaic projects NASA releases in the future!